For me, New Year is about being at a new place, watching a Sunrise and altogether, a refreshingly new beginning. Yes, I can obviously be questioned about that statement – how does a New Year’s Sunrise be any different from others and things as such. But let me tell you; I like it so. And I firmly believe that life is about making yourself happy. Finding joy in things like this hold the key to it. And thankfully, I’ve been able to open my doors to happiness for the past two years. 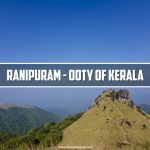 Even though trekking up the all famous Chembra Peak at Wayanad came up as our plan at first, we shifted to Kannur and planned to visit Paalakkayam Thattu on 1st afternoon. But my itchy feet and mind didn’t quite stay calm – yes, I wanted a new place, a Sunrise; and if possible, head to a new place in the morning. It was then I got reminded of Paithalmala from a Facebook friend’s Christmas plan. Since I don’t like to put you down by explaining every bit of how the planning went, I’ll make it shorter on how the final plan came into being. I took the 12076 Jan Shadabdi to reach Calicut by 13:30 where I joined Priyanka, Archana and Alakananda. As planned, we boarded the Kudiyanmala LSFP and reached Kudiyanmala an hour late – by 21:30. In the Jeep, we met Joshy, a native and his mother who met with an accident lately. They were on their way to meet Kudiyanmala’s only doctor. After paying a visit at his house, we headed to resort. En route, we dropped Joshy’s mother at home. By pleasantly declining tea offered by them, we proceeded to the resort. Santhosh’s sense of humor was on spot and it made us laugh our heart out. They both also sang songs and even asked me to sing one! The resort welcomed us with the beats of trance. Upon letting them know about our booking, we have been told that our stay is arranged a kilometer away from the place and will be transported in a jeep. For the time being, they arranged us a cottage a few steps away from the reception for refreshment. We got back to the reception area to enquire about our transportation to the room. Upon enquiring, we came to know that we will only be taken to the room after the New Year Eve’s party. I told them that we were traveling since morning and insisted to lend us the room asap. It was then they asked us to have food. But what surprised us was – the dinner was an unlimited buffet for Rs. 750/- only! Shocked to hear the same, we politely asked to transport us to the room. We were then again asked to have food for the reason that the dinner was prepared for us too. Controlling my temper, I insisted to see the Manager, Mr. George, through whom I made the booking. Meanwhile, the trance gave way for devotional songs in order to welcome the New Year, hah! While he showed up, I let him know that we were neither aware of this heavy priced dinner, nor did we have money to pay for such a ‘luxurious buffet’. He did insist to have dinner by paying what we can, but we turned down and I requested him to transport us to the room. We were finally taken to the 3BHK cottage in a jeep driven by Mr. George himself. What awaited us there was a small room with only one extra bed in the place of two. In no mood to make a scene and since it was past 11:30, we decided to retire for the day. Well, except for the lack of extra bed, the room and bed were well put. The washroom too, was neat and clean. So yeah, we retired for the day sans having dinner on the New Year’s eve. Nice way to end an year, ha? The New Day. The New Year. The alarm woke us at 7:00. The Sun was already up and a view from outside our cottage looked beautiful with subtle purple hues. We started by 7:30. As planned the previous night, we decided to walk until Paithal Valley, the starting point of our trek to Paithalmala. We started through the well tarred road. 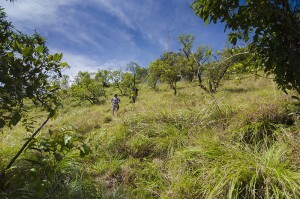 The terrain was very steep at places and it almost felt similar to a trek. After pausing for sometime at the shop adjacent to Paithal Hill Resorts, we resumed our hike. Except for a few cars that passed by, the road was empty. Half an hour later, we reached Paithal Valley. From a small shop run by Shyamala, we had tea and bun. Alongside stood the DTPC’s Resort with a view of Paithalmala, far away. By 8:40, we started the trek. Upon covering the straight pathway, we reached at the Forest Department’s ticket counter. From a travel video, I was aware that one need to take entry passes to trek up. But the office looked empty. We waited for a few minutes, but no one turned up. The route was covered with dry leaves and hence we haven’t had to worry about leeches. Sun rays were falling unevenly through the dense woods and the milieu was perfect for a morning trek. Mobile coverage was scarce and in a way, that made me happy since I can stay away from official calls as it was a working day. By 9:15, as we were about to reach at a turning point, Archana’s phone beeped with a message tone. Two of our friends, Anju and Aparna were also on their way to join us; so Archana called them and came to know that they were on their way to join us at the starting point of the trek. 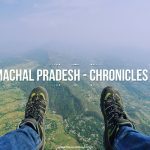 I was surprised to hear it because as per the plan I had in mind, they were supposed to join us at the top – miscommunication, as people would name it. Since they were on their way, we decided to wait. We passed Santhosh’s contact to them so that upon reaching Kudiyanmala, they can traverse up quickly and safely. Upon a few rocks that lay by, we sat down. The serenity of the forest could be felt and we inhaled fresh air. The calmness of the forest soothed us. We also tried on how long each one of us can hold our breath. Meanwhile, I contacted Mr. Geroge to let him know that we might be late and if needed, our baggage in room shall be kept outside. By 11:30, Anju and Aparna joined us. We passed through rocky steps and a narrow way to reach at a spot that opened to a wide plain grassland. 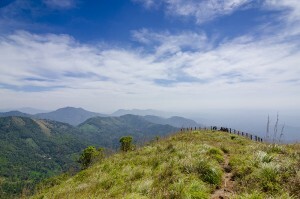 The ending spot of the trek was seen from there, afar. Since it was January, the grass had only started growing after the annual procedure of setting them to fire in order to take care of the rest of the forest. We entered the grassland and ate Appam which was made at Anju’s home before proceeding to the Observatory Tower. A bunch of people, carrying a pretty big cake had already occupied the tower by then. People have their own ways of celebrating moments, I realized. So instead of climbing the Observatory Tower, we walked further downwards – behind the tower. It was past 12:30 and the Sun was right above us; yet, we weren’t sweating. We ignored scattered blabbering of the previously mentioned group and headed down through a path amidst green bushes that grew in abundance. In between them stood quite a few small trees. No other colors of nature could be seen around and the blue sky having smoothly sailing clouds looked beautiful with the foreground set in lush greenery. Density of bushes diminished marginally as we were about to reach at the end point of our trail. The viewpoint had an iron barricade (which looked to be built for the sake of it) from where one can have a glimpse of Paithal Valley on the left and Coorg/Kodagu forest on the right. 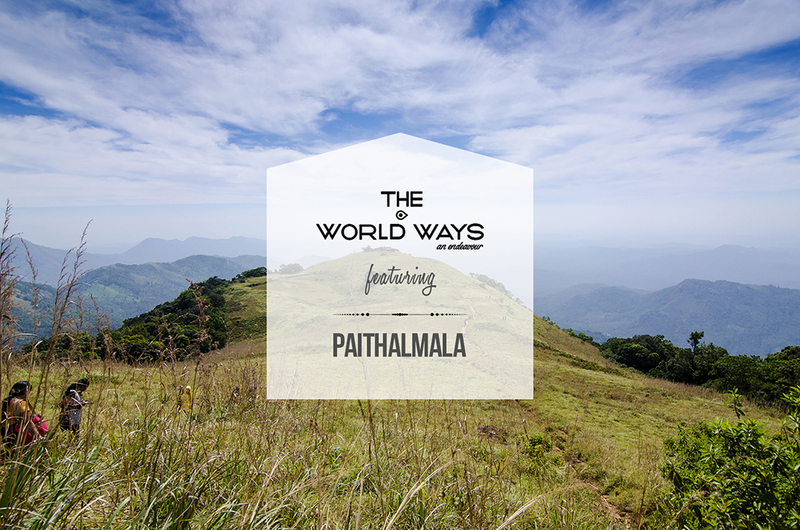 This point also marks the end point of one’s trek from Kappimala – an alternate trek route to Paithalmala. By the time we got back to the Observatory Tower, the group had left. We climbed up the tower for its view before heading back. Where grassland joined the pathway through forest, we took some rest. Back at the ticket counter, Santhosh was waiting for us – especially for Anju and Aparna since they weren’t accompanied by anyone else. While dropping them at Paithal Valley earlier that day, he even kept company with them for a few meters into the forest. Incidents like this instill the goodness of people who live by the mountains in me. A few bites of bun, slices of Appam and the morning tea, were all what we had consumed that day. Additionally, not to forget about the previous day’s ‘dinner’! The obvious being stated, hunger had started to tighten its grip upon us and we decided to head back to Kudiyanmala as soon we can. En route, we stopped to check out at the resort. We got back to the cottage and saw Mr. George getting ready to head back to the resort with our luggage. Following checking our room to see whether they’d missed to pick up something, we bid farewell to Paithalmala.